Funded by a $500M bond measure, AE3 was selected to design several school modernization projects for the West Contra Costa Unified School District. Faced with aging facilities from the 1940s and 1950s, AE3 performed these renovation projects at Murphy, Sheldon, Mira Vista, Collins, Shannon and Olinda Elementary Schools. 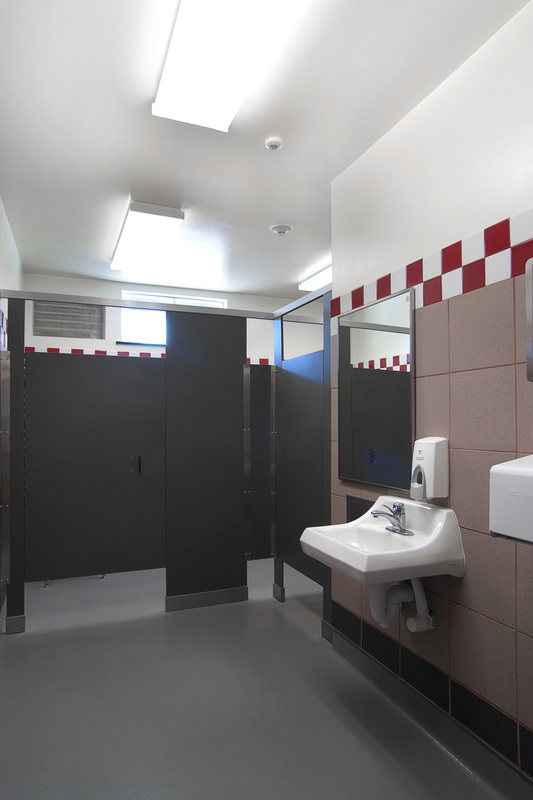 Projects included renovations of restroom facilities and portable classrooms, door and hardware upgrades, new flooring and wall finishes, upgraded lighting and miscellaneous site revisions. We worked closely with facilities and maintenance staff to develop a scope and prioritize items in a limited budget. We also worked closely with staff to source material and components (for example traditional paper towels were replaced with electric hand dryers) to minimize maintenance.